Im a sucker for keeping every single little piece of my daughters life. Little pieces of memories that will stay with me for life. Iv now decided to get a memory box that i can store our memories in which i can then pass on to my little girl when she is old enough to understand what they are. This beautiful colorful keepsake box was purchased from Asda and contains 3 small boxes labeled 'My First Tooth' ' My First Curl' and ' My Name Tag'. Iv also included an extremely cute ladybird outfit which was the very first outfit she wore straight after she was born. The lead and blue strip was from when she was 2 weeks old. She had to stay in hospital overnight due to a very traumatic time for her, Me and my partner when she stopped breathing and went blue which was then fount out to be down to her bad reflux. My mummy instincts kicked in and i blew on her face to start her breathing again. This was what my parents did to my brother after he refused to breath after a needle. The little white item was from her first ever hearing test which she passed with flying colors! and as you would have already know... The blue clip was her umbilical cord clip. So as you can see i have stored them very neatly in this extreme cute box which she will be able to treasure forever. What things have you kept from you children's birth and childhood so far? The first time i came across any Andrew Barton products was last year. I was bought some of the Andrew Barton gloss boss collection which i was pretty dubious about. After the first time using the products i didn't notice any change in my hair what so ever but within 3 to 4 weeks time of using them i definitely saw that there was a change. My hair looked and felt so much healthier. 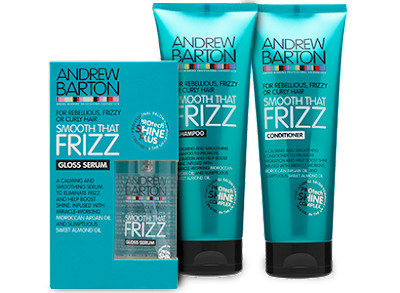 You can just imagine my response when i was contacted to test the miracle frizz tamer collection. Hell Yeah! So iv now been using these products together and religiously with every hair wash. At first, Like the other hair care i didn't see a difference but now two weeks in to testing the shampoo and conditioner i can most certainly see and feel the difference. My hair has now become more manageable and has an amazing shine to it. It also has such a great smell. On a daily basis i also use the gloss serum which i use one pump of product to run through the lengths of my hair. This seals the ends of my hair and gives it that added shine i long for. I really do love the Andrew Barton tame that frizz range. It keeps my confidence up and i no longer have to keep sticking my hair up in a bobble. Last week we were generously sent this beautiful pram liner from Little Warblers. I instantly fell in love with the design and was so excited for it to arrive! I chose the Tranquil Rose liner but they also do sell a range of liners which will suit individual taste. These pram liners are universal and will fit any 5 point safety harness. If you're unsure weather they will fit your pram then be sure to contact Little Warblers via their online contact form or their Facebook Fanpage. They have very speedy replies and will be more then happy to assist you. The liners are fully reversible with a stunning design on one side and a plain colour on the other. This helps if you're out and about and your child gets the one side of the liner dirty or wet. You can easily flip the liner. They're very easy to insert in to the pram and takes less then 5 minutes. Each liner also comes with pads which are for the straps.These help keep the strap from cutting into your child's neck and arms. The liner also has side wings which adds comfort for the child's head and it has an absorbent liner sewn into it to help protect the pram from spills and toilet training accidents. Overall im very pleased with this liner and so is my daughter. It retails at £24.99 which is a fantastic price as you can tell the quality difference compared to a more cheaper liner. Its thick, Warm, 100% cotton, Simple and easy to insert, Breathable, machine washable and comfortable for your little angel. I wouldn't change a thing about the liner or the straps but i would have liked to so see or maybe like to see in the future a matching bumper bar and possibly a matching footmuff. Go check out littlewarblers.co.uk. They also do other various products such as trolley liners, Changing table mat covers, Play mats, cot liners, privacy covers and Car seat protectors. 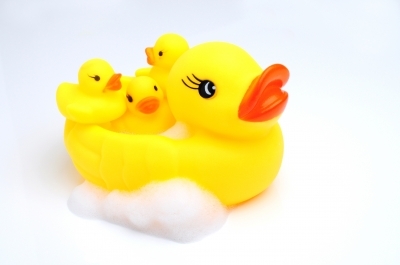 If you have children you know how bathtime can become more of a chore than fun. My daughter is now 18 months but from a baby iv experimented with different techniques to get the perfect bath time. These techniques and finding may not work for everyone but they most certainly work for me. Introduce water to your baby from birth. Iv heard parents say the line 'I don't want to wash the newborn smell from them' and they leave their baby's first bath for 2-3 weeks! Just think how you would feel after that length of time. After a few days I start to feel disgusting! Even a quick top and tail wash is better then nothing. Don't be afraid to introduce your baby to water. Yes the first bath time is scary for parents or guardians. I was so worried but the more you do it the more confidence you gain. You'll soon be a pro! This hasn't been a problem for me as I swear by the Jhonsons baby range and nothing else. My parents used the range with me and my siblings and never had problems so this was what made up my mind to use them for my little girl. 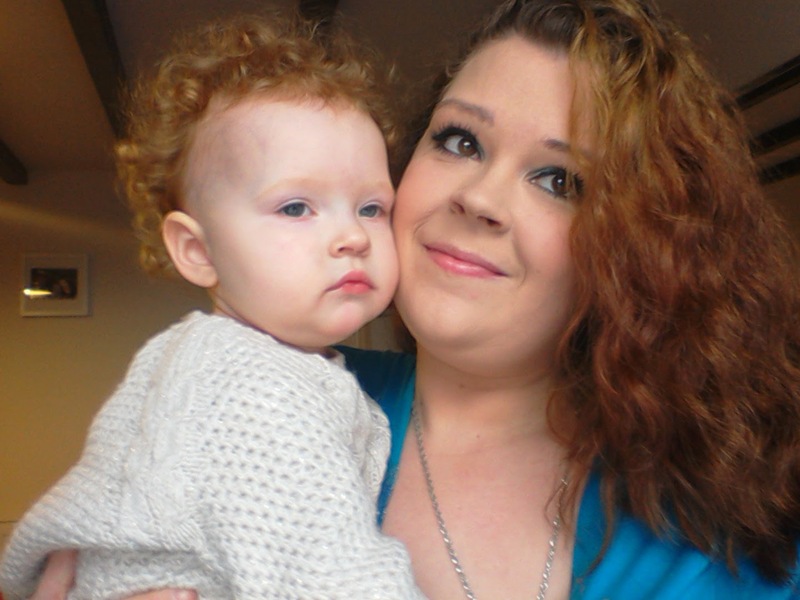 She has very sensitive skin and eczema like her mummy so I tend to stick to brands which I know work for her and not try others. My dad even once tried out the no tears formula by washing his hair in the shampoo and let it trickle down his face and in to his eyes. That being said you should never do that but it proved the no tears formula actually worked. The baby bath time bubble bath(Purple bottle) seems to really help sooth baby and send them off to sleep. I like to bath my little girl as close to her bed time as possible. Bath, Dressed, Nice sippy cup of hot chocolate whilst having cuddles from mummy and daddy then it's up stairs for mummy milk and sleep time! Although she's yet to sleep throughout the night without waking a ton of times I'm adimate to conquer this soon. Boats, Fish, Squirty toys. There's so many bath toys to choose from these days. Theres even waterproof toys which you put batteries in like my daughters penguin ski toy and her big ship toy that wizzes around the bath. These will keep your child happy whilst the dreaded haitpr washing happens. The worst part of bath time for some children is the hair washing. Some children hate water on their face and some hate the feel of the shampoo being poured on to their heads. My technique is to use a sponge to wet their hair with one hand and use the other hand as a block on her forehead just below her hairline to stop the water from going in her face. With the shampoo I simply just tip it in to my hands and warm it up by rubbing my hands together before massaging it to her hair. Once iv left it on for 30 seconds up to a minute i then grab the sponge and rinse out the shampoo making sure im quick to catch any soapy water that trickles past my hand block. Im now teaching her how to lean her head back and look up to the ceiling.This could be very scary for some children but done properly the child will feel more safe and trust you when you tell the to lean their head back. I use toy which i fill with water and hold above her head just in front of her. She looks at the toy in the air and this gives me chance to wash and rinse her hair. Sometimes she will look back down which i have to be quick to make sure the water doesn't rush down her face and scare her but 99% of the time she keeps looking up. Again for a young age i have played music during every bath time. When she was born up to not long ago i used to play soft lullaby type music but now that she has a taste for music she likes to listen to her favorite songs she hears on a daily basis. He most favorite at the moment is Olly Murs! I think this is mainly due to me liking his songs too and i played it all the way through my pregnancy and she used to kick me so much when i played it. i think she was dancing. We have only just recently started this as she would be too engrossed in her toys to even care. It just adds a bit more fun to bath time. All you do is get a bath mirror or plastic baby mirror which you can get really cheap from somewhere like PoundLand and get your child to hold it or attach it to the side of the bath or bath tiles where your child can see themselves. You then wash their hair and whilst their hair is all soapy you style it. its as simple as that. My daughter loves the Mohawk look as well as piggy tails. Babies like to splash! Its a fact! A little bit of harmless splashing can be fun. Also you can get some clean water and trickle it on the child's cheeks. This just insures that they don't feel so worried about getting their face wet. My daughter doesn't mind getting her face wet at all. She just sits there and waits for me to wipe it away with the sponge or towel. Sometimes she even goes out of her way to pour water on to her face! Its all about fun! Making bathtime fun will ensure that your child will feel less scared about having a bath. After bath time its always a good idea to have a snuggly towel ready. I use the Cuddlebug towel from Cuddledry. These towels have two layers to them which helps dry and keep the child warm. These are more absorbant then pure cotton towels so it helps when drying your child. They also double up as a very cute looking dressing up cape aswell! My daughter loves zooming around the living room with it on pretending that shes flying! My little madame always has a warm drink of hot chocolate after shes been in the bath. This gets her ready for bed. I may have to change this when she starts potty training as iv read that giving your child a drink before bed normally makes then have little accidents during the night. Shes only just turned 18 months and ideally id like to potty train her between ages 2 and 2 and half so i still have some time to research this. So now that you know how i survive toddler bathtime! Like i said though this is just my way of doing things and it may pan out very differently with your child. Every child is different so you may need to try things yourself to ensure that your child has a great, Fun bathtime. Do you have any tips to survive bathtime? We all know how important it is to have a nice cosy towel after a good long soak in the bath and our children are no different. They too like to be wrapped up in a soft and cosy towel. Introducing Cuddlebug from cuddledry.com! An award winning company who have grown in time to produce some of the best towels for babies and children. The towels are made with natural bamboo fibre and pure cotton are soft and silky to touch. This makes it 60% more absorbent then pure cotton. The two layers help to keep your child warm after bathing. These come in a variety of stunning colours and designs. When my daughter saw the towel she immediately put it on her head and started whizzing around the living room pretending to fly so not only is it used for bath time it also doubles up as a very stylish cape! We just couldn't resist going straight up stairs to try it out. It has a little popper at the top which helps keep the towel stay on and its big enough to wrap fully around her. I was really impressed at the speed it dried her. These retail at £34.99 which at first i thought it was a little steep for a towel but thinking of the quality of the material its made from rolled in with the design and absorbency then i could most certainly see why the towels cost so much. The towel has been washed a handful of times and it still feels super soft and fluffy just like the first time we used it so this should last for a fair few years. I really wished they had these in an adult size because id most certainly love to get myself one. Not only do cuddledry sell cuddlebug towels but they also sell a whole range of different things such as bath products and toys. Head on over to cuddledry.com to check them out.